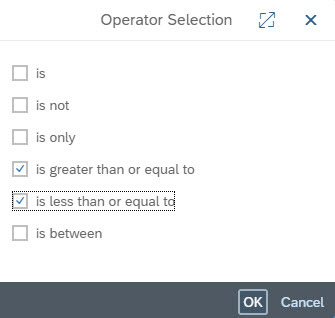 With SAP Solution Manager 7.2 SP07 it’s now possible to use BW Queries with mandatory input variables. In case you choose a BW Query with one or more mandatory variables, an icon next to the Data Source Name appears (highlighted in red below). If you click on the icon, you get a pop-up where you need to set a value or a value range (depending on the variable type). This value or range is used to filter the BW Query. The value help can be used to select a value or value range. 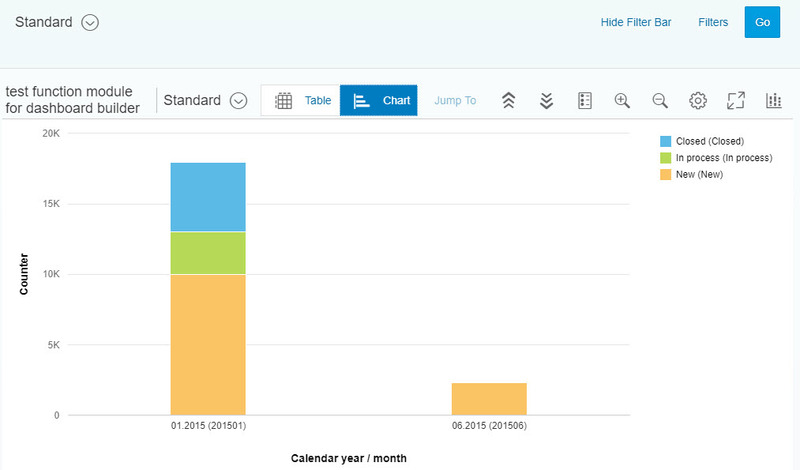 In the Smart View you can now use and configure a stacked column chart. 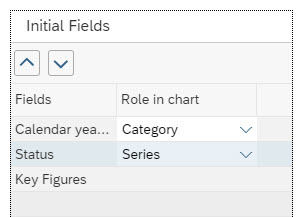 It’s possible to define whether a field should be used a category or as series. E.g. you want to display the number of Incidents by status and calendar month. 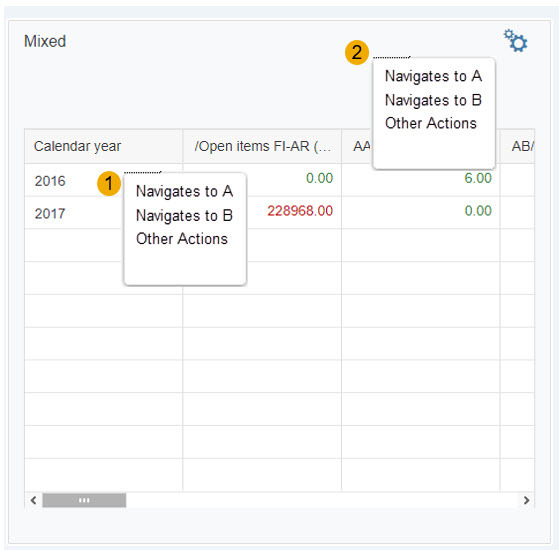 The calendar month should be shown on the x-axis whereas the Incident status should be stacked in the column chart. The Stacked column chart is displayed accordingly in the Smart View. In the tile configuration it’s now possible to define multiple jumps to external applications via a BAdI implementation. For some applications like e.g. “Business Process Analytics Adhoc” and “Business Process Analytics Classic” we provide already BAdI implementation that can be used. But it’s possible to create your own BAdI implementation and to register the application in the tile configuration in case you want to navigate to any other application. Within the BAdI implementation you can define multiple jump targets to external applications. It’s possible to navigate on a single row or on table header level. If you navigate on a single row the context values can be passed over in order to use them in the external application. You can find more information on how to create a BAdI implementation for the external application navigation in the SAP Help Portal. Great to see these enhancements, Thomas. that’s a valid requirement which I already included in our backlog. Currently this is not supported. At the moment it is possible to export the data within the detail views to Excel. we have successfully created Dashboads showing useful Landscape Information based on self written Function Modules. Now we want to put the Dashboards on Monitors with Mini-PCs hanging in different offices. They should work in Kiosk-Mode, meaning without the need of logging on. I thought it would be possible to create an external alias in SICF pointing to the Dashboard App sap/bc/ui5_ui5/sap/dsh_builder_ui5 and putting the logon data “hard” in the External Alias. But I still have to logon. I also put the logon data for test reason directly in the Service dsh_builder_ui5 but still with no success. If this is generally not working, can you think about this feature? Other Monitoring Apps are able to create public Dashboards. Not all should be relevant in the end user mode. But if you hardcode the logon data for these services, there should be no logon screen showing up (not sure how it will behave if you use an external alias in SICF pointing to these services).